Samsung Galaxy Note 8 price: how much does it cost? The Samsung Galaxy Note 8 price is big, just like it&apos;s epic 6.3-inch display size. Of course, that&apos;s to be expected because we paid a lot for the slightly smaller Samsung Galaxy S8 Plus that cost $825 (£779, AU$,349) or, on contract in the US, $35 a month. Ouch. The Galaxy Note 8 price in the US unlocked is $929, and it varies by carrier. T-Mobile&apos;s starting price is $930, while Verizon&apos;s is $960. Each carrier is offering various monthly payment plans, including some that span 30 months. You&apos;ll be paying off this phone for a looonnnng time. But if you&apos;re ready to commit to a phone with dual cameras on the back and 6GB of RAM, then Samsung Galaxy Note 8 pre-orders go live on August 23 in the UK, and August 24 in the US. You can pre-order your Note 8 through Samsung. So you won&apos;t find a cheap Galaxy Note 8, but you can get it for full price with a Samsung Gear 360 camera or a microSD card and fast wireless charger bundle. These pre-order promotions actually last for a month, 15 days after the phone release date on September 15. This will ease the high price a little bit. It&apos;s not going to save you money, but it does increase the value and having two bundle options instead of one is ideal in case you already have a 360 camera. What will save you money is if you previously owned the recalled Galaxy Note 7 and trade in your current device. 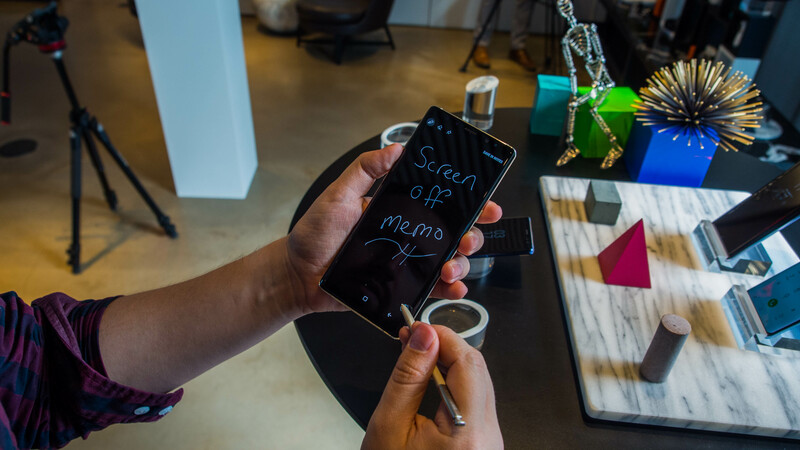 This special offer qualifies former Note 7 owners to save up to $425 when they upgrade to the Galaxy Note 8. Yes, you&apos;ll have to turn in your current device, but you could potentially save nearly half the price of a Galaxy Note 8. Which is a lot. Samsung is clearly saying, "We&apos;re sorry" by giving Note 7 a chance to save big on the new Note 8. You can find out more about the trade-in offer on Samsung&apos;s website when pre-orders open tomorrow. This is currently a US-only offer. The Samsung Galaxy Note 8 will launch on day one as an unlocked phone in the US, a rare move by any other smartphone maker aside from Apple. This means you won&apos;t be tied down to a specific carrier in the US, though AT&T, Sprint, Verizon and T-Mobile will still be selling this phone on a monthly contract. What does else does this mean? No force carrier apps (read: US carrier ads). It&apos;ll just include the apps that Google and Samsung had intended. Fantastic. As mentioned, the unlocked Note 8 price is $929 in the US and the SIM-free phone starts at £869 in the UK.